Ruger’s Construction Loader Crane mounts to loaders and offer maximum mobility and reliability for on and off loading the most challenging cargo. 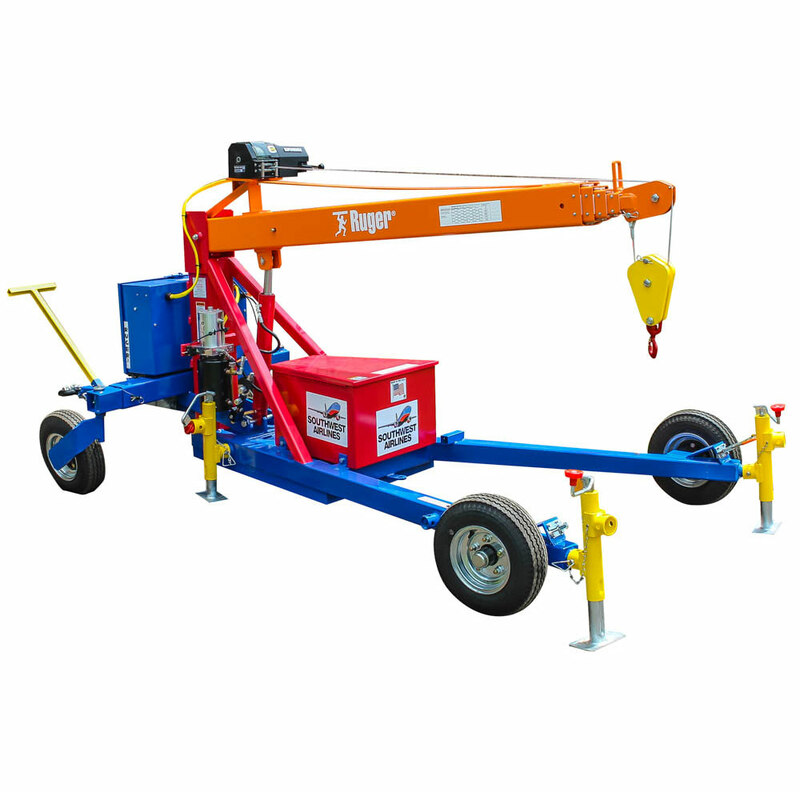 A segmented boom can be extended up to 28 feet using on board DC powered hydraulics. The powered winch on these units provides push button control. CTOW-1 2,000 lbs. 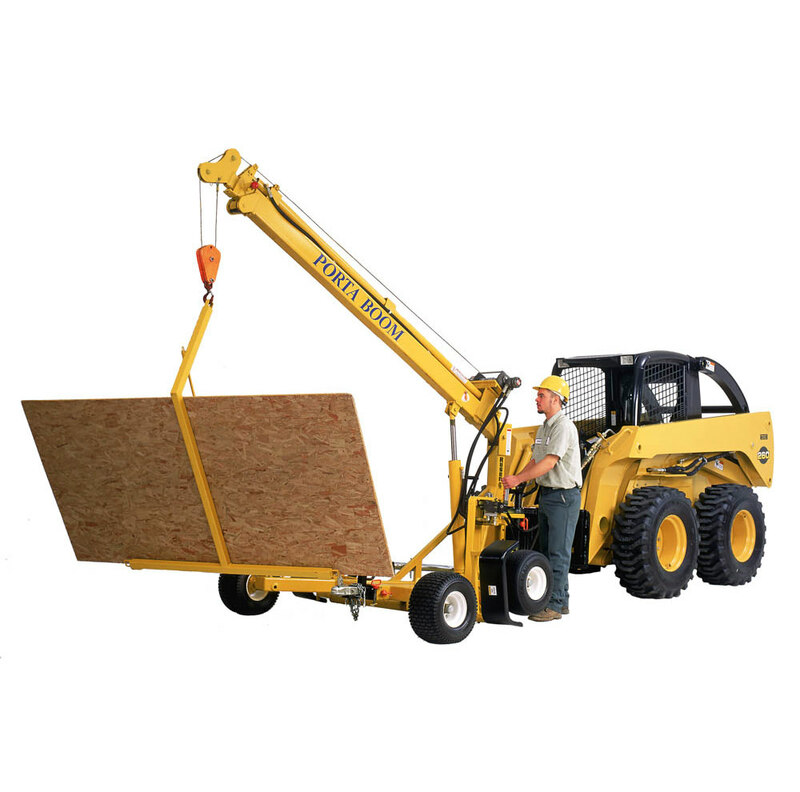 70-1/2" 42-1/2" 272-5/8" 42-3/8" 354-1/4"
Our Construction Loader Crane is ideal for construction, aircraft maintenance and general maintenance uses. Ruger Industries provides a full range of attachments for special uses. Customized attachments are also available for special applications.